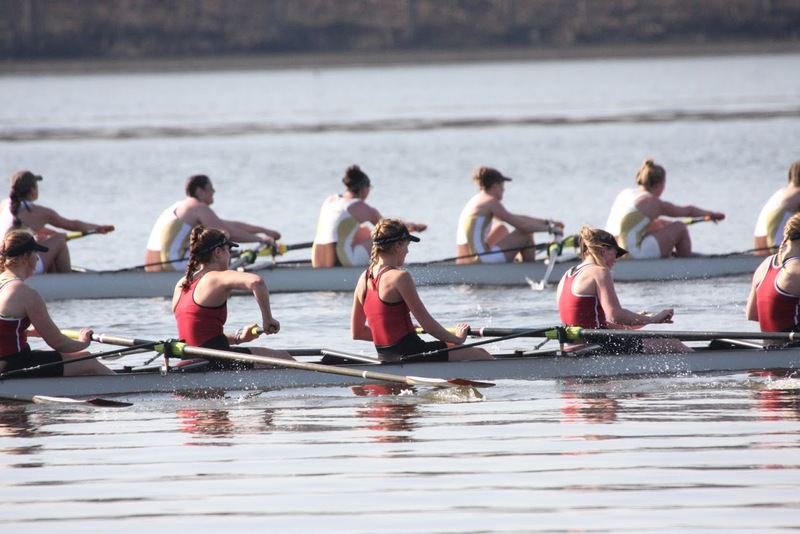 The Lafayette club crew team opened their spring season at the River Cup Regatta in Lake Nockamixon, Pa., with both the men’s and women’s boats failing to win any races. The Regatta consists of several dual races, where each boat goes head-to-head in the morning before the winners move on to the afternoon races. The other schools competing included Lehigh University, Mercyhurst University, Jefferson University, and Bucknell University. “I think the team performed as best we could this last weekend,” said senior Greg Shindel. Junior Zach Miller said that the team recorded a number of “strong performances” despite the losses. The men’s varsity-8 boat narrowly lost to rival Lehigh in the morning race, finishing in 6:03.97, less than seven seconds off the Mountain Hawks’ winning time. According to Miller, facing Lehigh presents unique challenges due to the difference in school size, which translates over to the strength of each respective crew team. In addition, Miller said that the River Cup is the only spring regatta where the team races eight-person crews. The men’s varsity-8 boat lost to Bucknell in the two-team afternoon race, ending with a time of 5:47.68. The Lafayette varsity-4 boat finished third out of three teams in the morning, finishing behind both Lehigh and Bucknell in 6:45.90. On the women’s side, the varsity-8 finished 15 seconds behind Lehigh in the morning race with a time of 6:48.40, and then narrowly lost to Mercyhurst in the afternoon by just four seconds. The women’s novice-8 and novice-4 boats both lost in two-team races after being defeated by Lehigh and Jefferson, respectively. “It’s a hard transition so we’re really focusing on transferring the speed we had in the 8’s into the 4’s, as well as cleaning up our technique,” said Shindel. Next up for the Leopards is a trip to the Knecht Cup Regatta in Cherry Hill, N.J., this Saturday and Sunday.